Daily Itinerary | Pack A Fork! 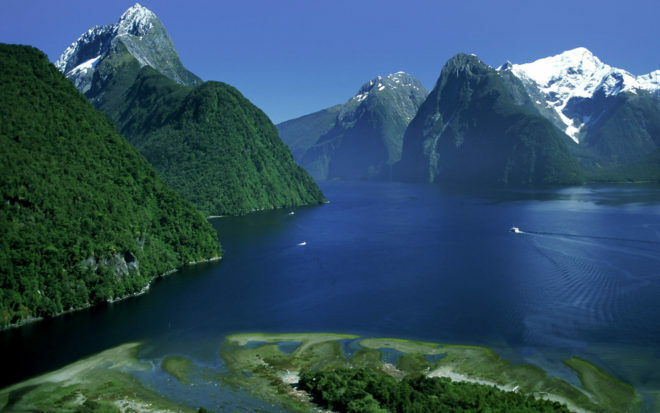 This tour is an 18-day exploration of New Zealand’s North and South Islands. You will experience this amazing country led by those who know it best. Get ready for the trip of a lifetime! 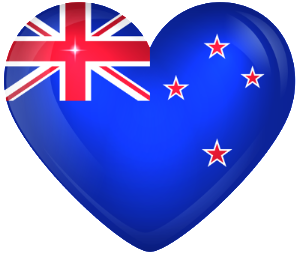 You will be welcomed to New Zealand at the airport and transferred to the hotel. Take the afternoon to rest, relax at the hotel or take a walk in Auckland on your own. We will be staying at a centrally located hotel close to the downtown area and waterfront. That evening, we will meet for a Tour Orientation at the hotel. An overview of the tour will be presented. You’ll meet your guide, tour director and have an opportunity to discuss the tour. After Orientation, we’ll take a trip to the top of Auckland’s Sky Tower and view the ‘City of Sails’ from high above. We will enjoy a welcome dinner at the exclusive Sky Tower Sugar Club Restaurant while taking in the expansive views of Auckland. After breakfast, we’ll take in the sights of Auckland on a city tour which will include a visit to one of Auckland’s inner city beaches, Mission Bay. We’ll visit Mt. Eden, a wonderful viewpoint and one of Auckland’s most famous volcanic craters. We’ll see the famous Auckland Harbor Bridge and the exclusive Ponsonby Yacht Club. Our guide’s will take us to one of his favorite spots that boasts great views of Rangitoto Island the Coromandel Peninsula. We’ll enjoy lunch in Mission Bay. 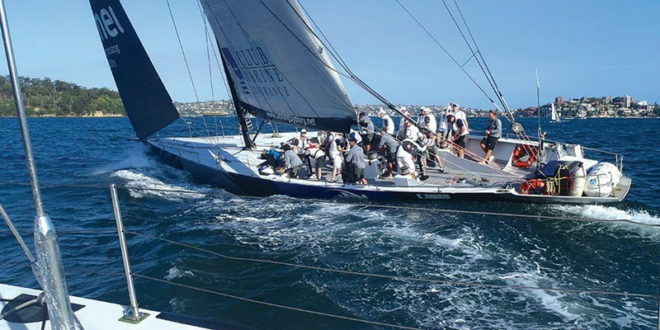 In the afternoon, we’ll set sail on an America’s Cup yacht in the Hauraki Gulf and enjoy the spectacular scenery of Auckland’s coastline. You can choose to help set the sails or just sit back and enjoy this experience. The evening will be free to enjoy at leisure. This morning, we will ferry out to Waiheke Island to visit some of its stunning wineries, take a stroll along the beach and enjoy fantastic art galleries and shops. We will enjoy a winery tour and lunch at Mudbrick Vineyard boasting beautiful views, gardens, superb cuisine and fantastic wines. Later in the afternoon, we’ll have have the opportunity to taste Australian olives and local artisan foods. Return to Auckland will be in the evening. South we go. 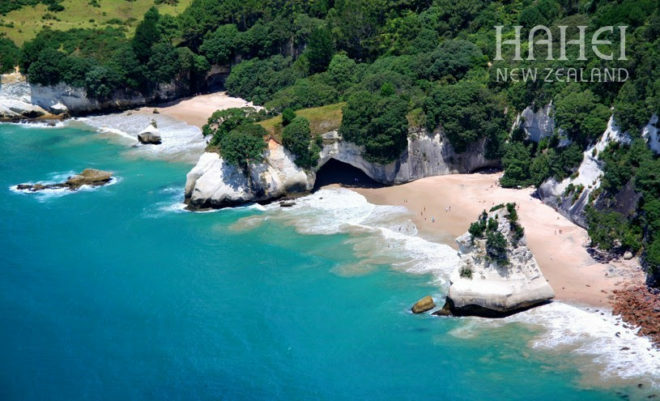 Leaving New Zealand’s largest city, we’ll head for the Coromandel – a peninsula made up of spectacular beaches. 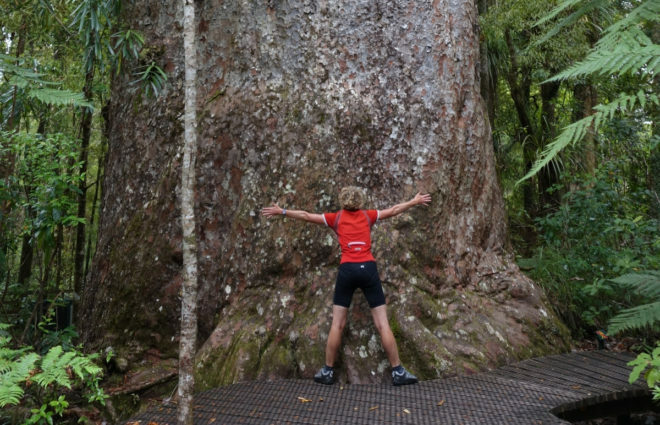 En route we’ll walk through one of the region’s many kauri tree forests where we’ll encounter the flora and fauna of New Zealand’s North Island. Our drive will follow the coast route to Whitianga, where we’ll stay. This afternoon, relax on your own at Buffalo Beach, take a walk along the shore and look for sea shells. We’ll enjoy dinner in Whitianga township that evening. the world where you can discover thermal water underneath the sand. Water in places along this stretch of beach can be as hot as 150 degrees Farenheit. You will have the opportunity to dig your very own thermal pool in the sand and bathe in its waters. This evening, we will return to Whitianga when the evening will be at leisure. Today, we’ll leave the Coromandel Peninsula and head inland to Hobbiton. 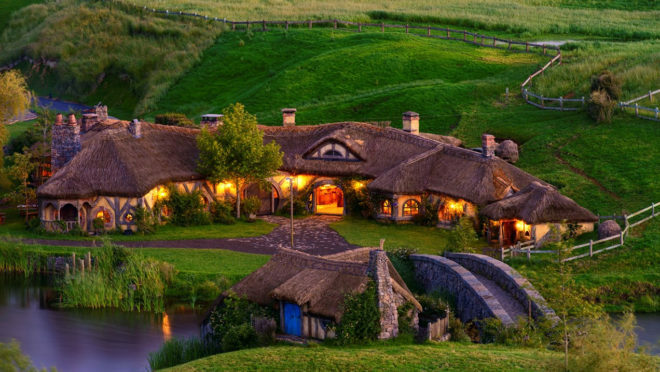 Hobbiton is where the Lord of the Rings Trilogies were filmed. We’ll have a guided tour of the set and lunch at the restaurant. From Hobbiton, we’ll drive to Rotoura. 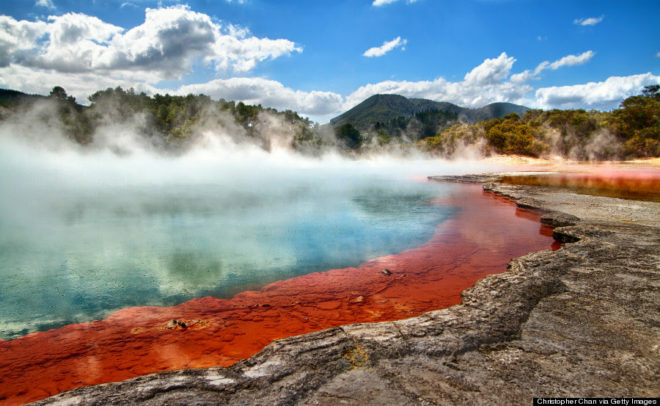 Rotorua is a geothermal area of mud pools and geysers and is also the center for Maori culture. Upon arrival, we’ll walk through a thermal mud pool reserve. We’ll also walk in Rotorua’s stunning Government Gardens near the lakefront. Tonight is at leisure and perhaps a good time to visit Polynesian Spa and relax in its thermal waters. This morning, we’ll walk Te Puia Geothermal Wonders. We’ll also visit The Buried Village of Te Wairoa in Rotorua. We’ll take a trip up the Skyline Gondola for spectacular views of Lake Rotorua, the city and steaming geothermal landscapes. At the top of the gondola, we’ll taste at Volcanic Hills Winery. This was a venture started in 2009 by two Kiwi winemakers. Rotorua is considered one of New Zealand’s wine growing regions. However the owners have also been sourcing their grapes from the famous wine regions such as Marlborough, Central Otago and Hawke’s Bay. They make the wine in their winery at the bottom of the gondola and operate their tasting room at the top of the gondola. After the winery visit, the afternoon is free to spend at leisure. 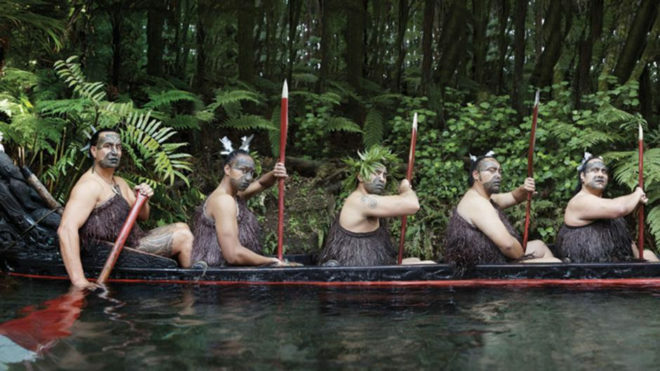 Rotorua is a center of Maori culture. Tonight, we will enjoy a Hangi, a traditional meal cooked in the ground, with a cultural performance by the native Maori. Heading south, we’ll stop at Wai-O-Tapu Thermal Wonderland – an area of stunning geothermal activity. Wai-O-Taupu has been active for over 150,000 years and has the most surface geothermal activity in the area. As you enter the site, there are a series of very deep craters (some up to 20 meters deep) and at the bottom is ferociously boiling water that gives the vivid impression of looking at the deep and raw material of the planet. We’ll see colorful pools, including the Artist’s Palette, the Champagne Pool and the amazingly bright-green Devil’s Bath. Then, on to Lake Taupo, New Zealand’s largest lake, and the mind-blowing Huka Falls. We will enjoy lunch on the waterfront in Taupo before heading to our destination of Napier. On the way to Napier, we’ll visit a Manuka honey shop and learn about this honey unique to New Zealand and Australia. We’ll also stop at an orchard in Hawke’s Bay to pick local, seasonal fruit. Once in Napier, the evening is free to relax, stroll along the palm tree-lined waterfront and see some of the city’s historic Art Deco buildings lit up at night. Napier is one of the two cities that make up the region of Hawke’s Bay. Napier is a seafront city that was reinvented after massive destruction from the 1931 earthquake. A new city arose from the ashes with a distinctive Art Deco facade. In the morning, we’ll take a guided walking tour of Napier’s famous Art Deco buildings and learn about this style of architecture. 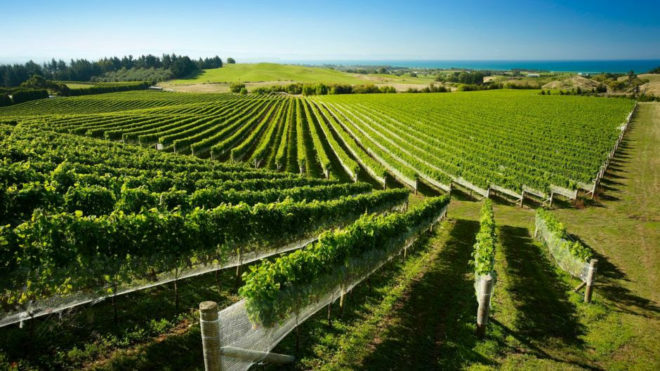 Hawke’s Bay is well known for it’s excellent wines and rolling vineyards throughout the region. In the afternoon, we’ll taste at select vineyards and enjoy lunch at Elephant Hill Estate Winery with its stunning views over Hawke’s Bay. Today, we will take a picturesque drive en route to Wellington at the southern tip of North Island. We’ll visit the charming town of Martinborough whose region is known for its Pinot Noir wines. The town is charming with shops, cafes and pubs. There will be free time to wander the streets of Martinborough on your own. In the afternoon, we’ll drive over the Rimutaka Range to Wellington. Once in Wellington, we’ll stop in at the Wellington Cable Car for views over the cityscape and Botanic Gardens. We’ll visit the Te Papa Museum, the national gallery and art museum of New Zealand. Later that evening, we’ll enjoy some of the area’s seafood with a meal on the waterfront. Today, we’ll say goodbye to the North Island and journey over Cook Strait to New Zealand’s South Island. The northern coast of the South Island is simply breathtaking! 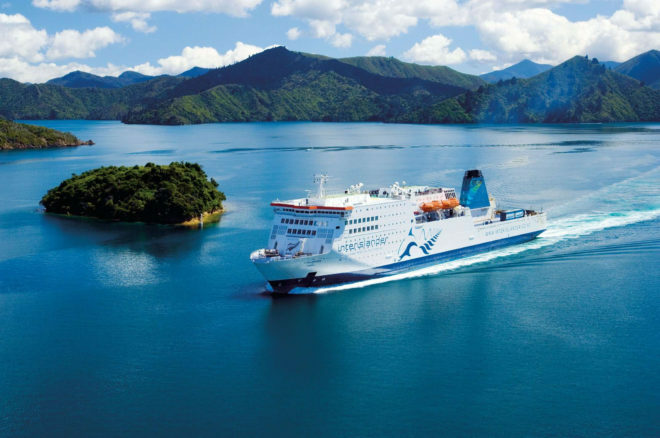 You’ll be able to take in the scenery on the ferry ride through Marlborough Sounds. Upon arrival in Picton, we we’ll board a Green Lip Mussel Cruise and experience one of New Zealand’s treasured cuisines. We’ll enjoy lunch on the boat amidst the spectacular scenery. Afterward, we’ll drive to Abel Tasman National Park where you’ll have an opportunity to relax, take a walk along the beach and enjoy the tranquility of this pristine coastline. Today, we’ll explore the best of Abel Tasman. We’ll embark on a stunning day trip that covers an entire marine reserve. Abel Tasman is New Zealand’s smallest National Park and is famous for its golden beaches, turquoise waters, native bush and spectacular scenery. We’ll start the day on a water taxi that will allow us to visit Shag Harbor, a hidden turquoise water inlet. We’ll kayak south along the rocky coastline in the Tonga Island Marine Reserve to see its playful inhabitants – dolphins, fur seals, penguins and sea birds. After a picnic lunch, we’ll visit Tonga Arches – granite rock formations sculpted by the sea – and explore south along the coastline to Bark Bay. From there, we’ll catch a water taxi back to our starting point. The evening is free to spend at leisure. Today, we will drive south along the western side of the island’s along Coast Road. This drive was voted the most spectacular coastal drive in New Zealand. We can stop for short nature walks along the way. We’ll visit Cape Foulwind Seal Colony overlooking the Tasman Sea. We’ll stop at Pancake Rock and Blowholes to explore the limestone landscape of these rock formations and blowholes/surge pools. We’ll then head further south through the majestic rainforest of the West Coast. We’ll stop in Hokitika to visit the greenstone/pounamu (NZ jade) gallery where we can view how locals carve necklaces and sculptures from this precious stone. We’ll journey on to Ross, an old gold mining village. Our destination is Franz Josef Glacier. It is one of only two places in the world where one can view a glacier with side-by-side rainforest. Weather permitting, guests will have the option (at an additional cost) of a helicopter flight over the majestic Franz Josef Glacier landing at the top. Some of the most dramatic scenery in New Zealand is the drive over Haast Pass to Wanaka. En route, we’ll will visit Lake Matheson, otherwise known as ‘Mirror Lake’ where, on a clear day, it is possible to see the reflection of New Zealand’s highest mountain, Mt. Cook (elevation 12,316’). We’ll take a hike around Haast Pass where we can see waterfalls and trout in the deep blue colored pools. Our guide will take us to a favorite spots along the drive which pass the coastline, mountain terrain and lakefront. We’ll stay in Wanaka, a popular vacation hot spot situated on the shores of Lake Wanaka. The evening is free at leisure. This morning, our South Island tour takes us to Arrowtown over the Crown Range, New Zealand’s highest highway. Arrowtown was one of New Zealand’s most important towns during the gold rush of the 1800’s in the Central Otago region. This was also one of the well-known backdrops in the Lord of the Rings movies. 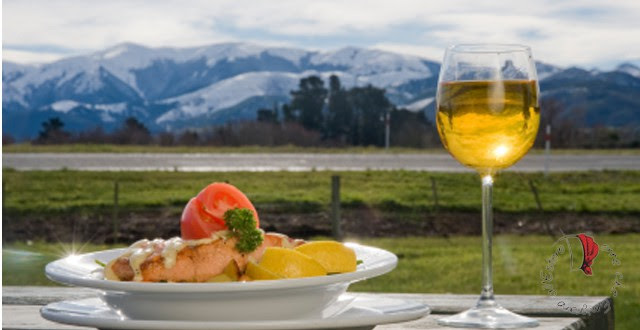 From Arrowtown, we will drive to Gibbston Valley Winery and enjoy a guided tour of the winery/caves and then have a delicious lunch at the vineyard. 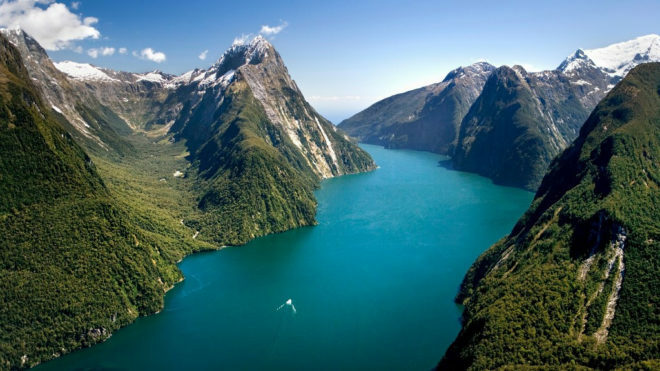 In the afternoon, we go further south to Te Anau, the gateway to Fiordlands National Park and Milford Sound. That evening, we’ll go across Lake Te Anau by boat to the glow worm caves to view the shimmering light of thousands of luminous glow worms in a 12,000 year old grotto. Be prepared for one of the jewels of the New Zealand landscape. The drive from Te Anau to Milford Sound is one of the most spectacular in the world. En route, you will see pristine valleys, breathtaking mountains and fiords. We will take a boat cruise on the fiords experiencing these long narrow arms of the sea bordered by steep cliffs which have been formed by glacial erosion. We will also hike a bit of the Milford Track today. We’ll see our guides favorite spots this day which are sure to be some of the highlights of the entire tour! 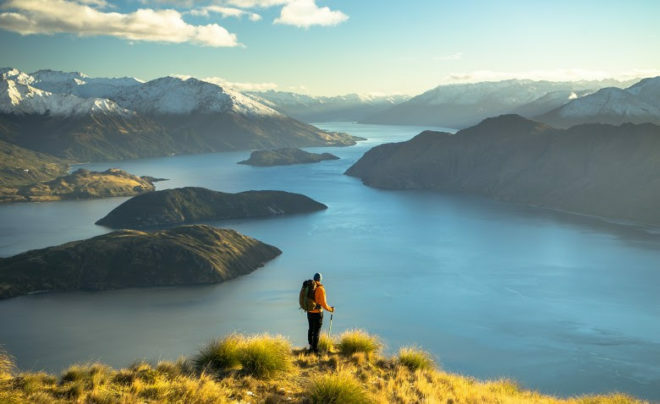 This morning, we’ll head to Queenstown, New Zealand’s ‘adventure capital of the world’. Skirting our way around Lake Wakatipu makes for some stunning photography of the Remarkables Mountain Range, one of the back drops in the Lord of the Rings. Once in Queenstown, the afternoon is free to explore on your own, pack for the flight tomorrow or relax at the hotel. 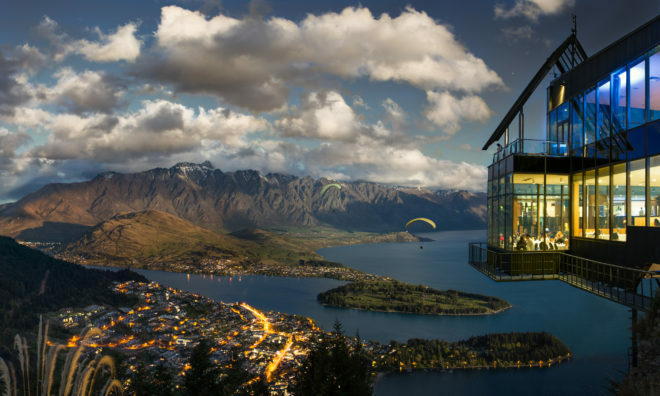 That evening, we’ll take a trip to the top of Skyline Gondola and enjoy a Farewell Dinner with views high above Queenstown. Today, you will be transferred to the Queenstown airport for your flight home. We trust that you will have had a memorable 18-day experience with us!